Is Your Florist Website Secure? 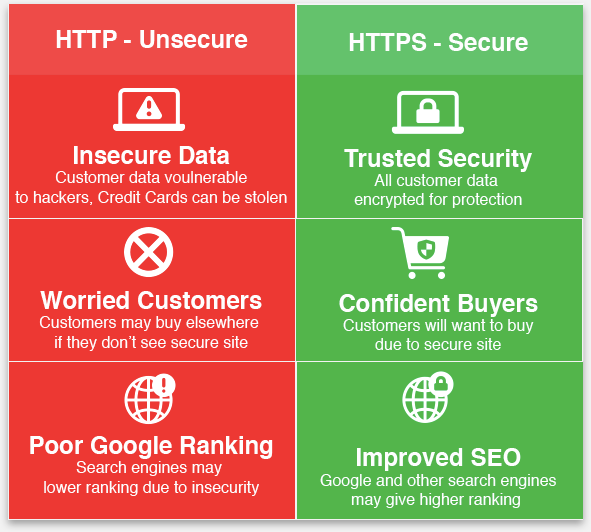 Your Google ranking and your customer’s confidence depends on your florist website security. Is your website secure? Here’s how to check. Open up your website and click the information icon on the browser bar – if it shows “Your connection to this site is not secure” you know it is not using a secure 128-bit secure connection. Compare this with the Floranext.com website – which has a secure SSL connection on all pages. You will see a green Secure note and a padlock, indicating that all information is encrypted and secure. Why is an HTTPS connection important for your florist website? There are several reasons why you should be concerned about that green padlock icon on your florist website. Security of Data – When you have an SSL certificate on your website, all information passed between the user’s browser and the website including passwords and credit cards can potentially be intercepted. HTTPS protects customer data. Customer Confidence – A secure, SSL and HTTPS connection gives greater confidence for customers and increases the likelihood to buy. Google Search Engine Ranking – Google and other search engines are beginning to use that padlock icon and site security as a signal that your website is reliable and modern. Security impacts your ranking! Right now keywords, content, and backlinks are still the most important, but SSL security is gaining importance and is definitely a ranking factor. The security of your florist website is more important than ever. You owe it to your customers to respect the privacy of their credit cards and personal data. And your customers are increasingly expecting this kind of protection when they transact. And search engines are too. Find out if your florist website is secure.